Do You Need Emergency Medical Services? The emergency medical services in Georgia are used for a variety of purposes. They can help individuals looking for a hospital transfer, they can help people who require dialysis, and they provide people who are unable to use conventional transportation a way to get around. When you are sick, injured, elderly, or unable to use other forms of transportation, you can benefit from EMS services. Every trip is personalized to your unique needs. This is to ensure that you can get where you need to be, without hassle. For example, one way we can customize our services is to provide a vehicle that can accommodate you. If you are in a wheelchair, we can send you a van that is equipped with either a ramp or a lift. Or perhaps you need medical services en route to your destination, we can then send off an ambulance. When you require regular treatment such as dialysis, it can be a hassle to get to the clinic. Even if you can drive yourself there or get there on your own, you will not be able to get home by yourself. These treatments can leave you severely weakened, which will mean it will be dangerous for you to go solo. To ensure you can get to your treatments and back home easily and safely, you can rely on our medical transportation in Atlanta, Georgia. It is common to be transferred from facility to facility. This is because not all hospitals have the equipment or services to treat you. This process will be handled by our emergency medical services in Georgia. Through these services, we can get you from one facility to the other with as little hassle as possible. We understand what you are going through, so it is our goal to make the entire process very simple and easy. 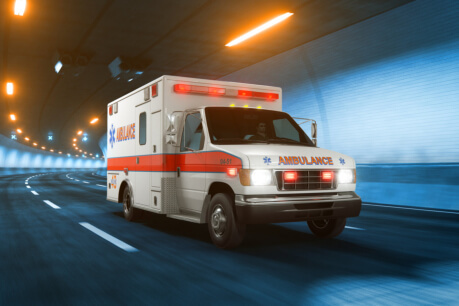 Emergency medical transportation services are designed to provide individuals a convenient and safe way to get from Point A to Point B. These services can be used for a variety of purposes from hospital transfers to regular treatments. If you know someone who could benefit from these services, please share this blog with them and with others. AmeriPro EMS is committed to providing the safe transportation you deserve. This entry was posted in Medical Services and tagged Dialysis Transportation, Emergencies, medical transportation, Personalized Transportation. Bookmark the permalink.